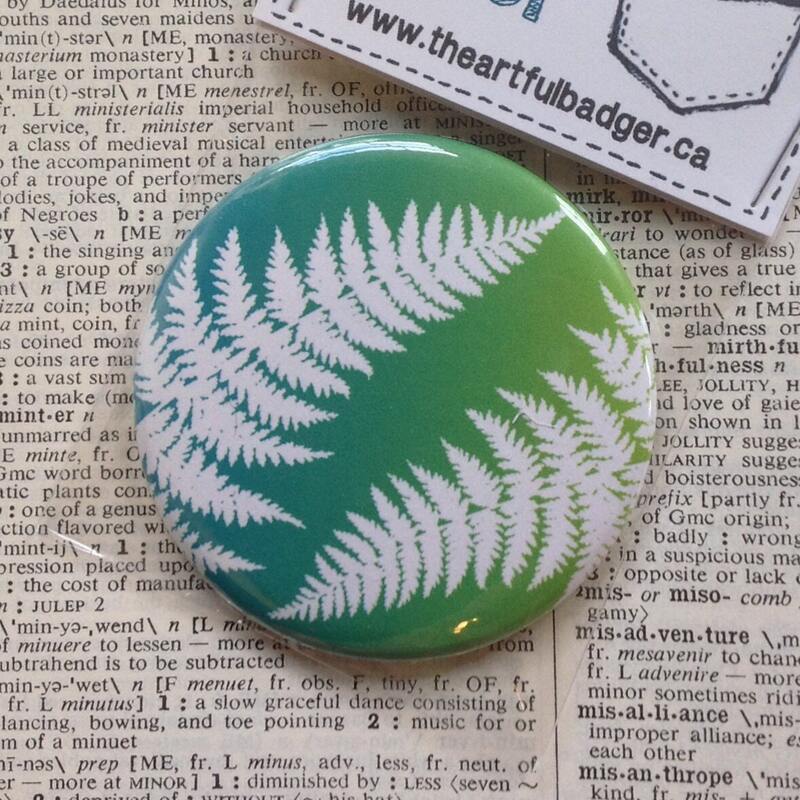 A white fern silhouette agains a blue and green ombre gradient. A pretty mirror for any occasion. Would make a great wedding favour or bridesmaid gift. I also make this mirror in pink and purple. This little mirror is hand pressed in my professional button machine. It is made with high quality mirror glass, not plastic. You will receive the design shown in the first picture.